Premium, precise and pure. Waterman do not dissapoint with these high quality writing pieces. One of the personal favourites in the office. You won't find many promotional pens that beat this pen in class and quality. 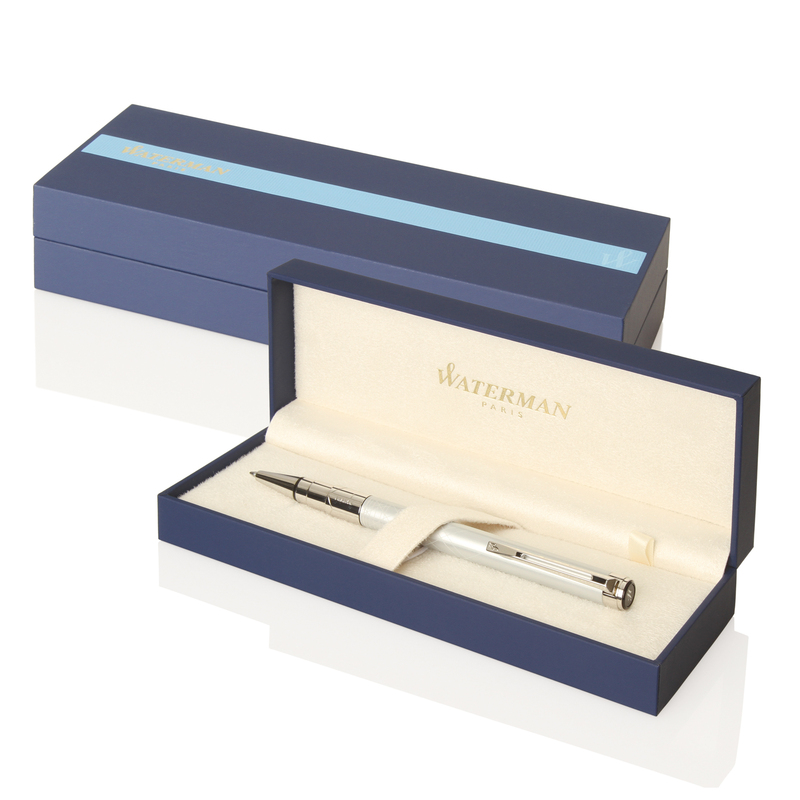 With a matt black body and gold trim Waterman does not settle for anything less than excellence. 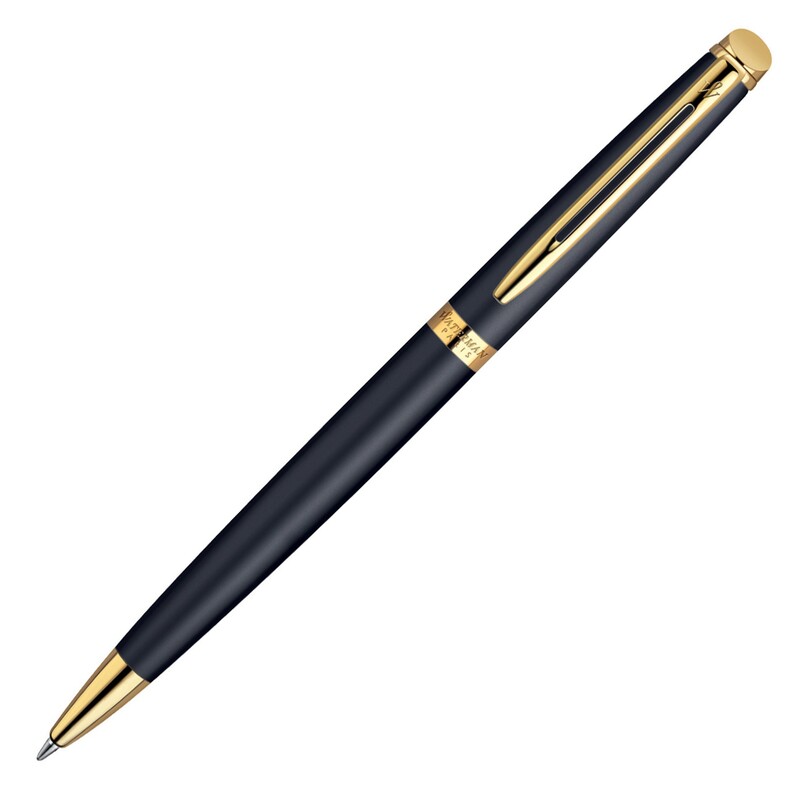 The pen is equipped with an engineered twist action mechanism and retractable ballpoint.